Alfred Garyevich Schnittke (Russian: Альфре́д Га́рриевич Шни́тке) (November 24, 1934 – August 3, 1998) was a twentieth-century Russian and Soviet composer who is best known as a polystylistic musician and composer because of his talent in combining the unique compositional techniques of different periods of music, such as the Baroque, Romantic and Classical eras with a contemporary atonal sound. Schnittke's musical philosophy was to place techniques from old or traditional music into contemporary forms to reinforce the importance of traditional artistic values within a modern context. This musical confluence created a harmony and cooperation beyond the boundaries of time and culture to initiate a better understanding of the importance of all music genres. Schnittke's father was born in Frankfurt to a Jewish family of Russian origin who had moved to the USSR in 1926, and his mother was a Volga German born in Russia. Alfred Schnittke was born in Engels in the Volga-German Republic of the RSFSR, Soviet Union. He began his musical education in 1946 in Vienna where his father, a journalist and translator, had been posted. In 1948 the family moved to Moscow. He completed his graduate work in composition at the Moscow Conservatory in 1961 and taught there from 1962 to 1972. Thereafter he supported himself mainly by composing film scores. Schnittke converted to Christianity and possessed deeply held mystic beliefs which influenced his music. In the 1960s he studied at the Moscow Conservatory where, among his teachers in composition, was Evgeny Golubev. Schnittke was often the target of the Soviet bureaucracy. His First Symphony was effectively banned by the Composers' Union, and after he abstained from a Composers' Union vote in 1980 he was banned from travelling outside of the USSR. In 1985, Schnittke suffered a stroke which left him in a coma. He was declared clinically dead on several occasions but recovered and continued to compose. 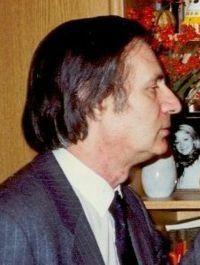 In 1990, Schnittke left Russia and settled in Hamburg. His health remained poor, however, and he suffered several more strokes before his death on August 3, 1998, in Hamburg. Schnittke's early music shows the strong influence of Dmitri Shostakovich, but after the visit of the Italian composer Luigi Nono to the USSR he took up the serial technique in works such as Music for Piano and Chamber Orchestra (1964). 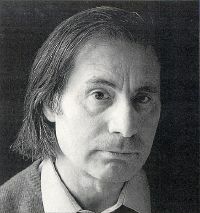 However, Schnittke soon became dissatisfied with what he termed the "puberty rites of serial self-denial" and moved on to a new style which has been called "polystylism," where music of various different styles past and present are juxtaposed in proximity (the composer once wrote "The goal of my life is to unify serious music and light music, even if I break my neck in doing so"). The first concert work to use the polystylistic technique was the Second Violin Sonata, Quasi una sonata (1967-1968), but the influence of Schnittke's film work on his stylistic development is shown by the fact that much of the music of this work was derived from a score for the animation short The Glass Harmonica. He continued to develop the polystylistic technique in works such as the epic First Symphony (1969-1972) and First Concerto Grosso (1977), but also composed more stylistically unified works such as the Piano Quintet (1972-1976), written in memory of his recently deceased mother. In the 1980s, Schnittke's music began to become more widely known abroad, thanks in part to the work of emigre Soviet artists such as the violinists Gidon Kremer and Mark Lubotsky. Nowadays it is often played by duo violinists Angela and Jennifer Chun. Despite constant illness, he produced a large amount of music, including important works such as the Second (1980) and Third (1983) String Quartets and the String Trio (1985); the Faust Cantata (1983), which he later incorporated in his opera Historia von D. Johann Fausten; the ballet Peer Gynt (1985-1987); the Third (1981), Fourth (1984) and Fifth (1988) Symphonies (the last of which incorporates his Fourth Concerto Grosso) and the Viola (1985) and 1st Cello (1985-1986) Concertos. As his health further deteriorated, Schnittke's music started to abandon much of the extroversion of his polystylism and retreat into a more withdrawn, bleak style. The Fourth Quartet (1989) and Sixth (1992), Seventh (1993) and Eighth (1994) symphonies are good examples of this, and some Schnittke scholars such as Gerard McBurney have argued that it is the late works which will ultimately be the most influential parts of Schnittke's output. After a further stroke in 1994 left him almost completely paralysed, Schnittke largely ceased to compose, though some short works emerged in 1997 and a Ninth Symphony was left almost unreadable at his death, now being encoded by Alexander Raskatov. Schnittke, Alfred' Ivashkin, and J.D. Goodliffe. A Schnittke reader. Bloomington, IN: Indiana University Press, 2002. This page was last modified on 4 March 2019, at 23:27.